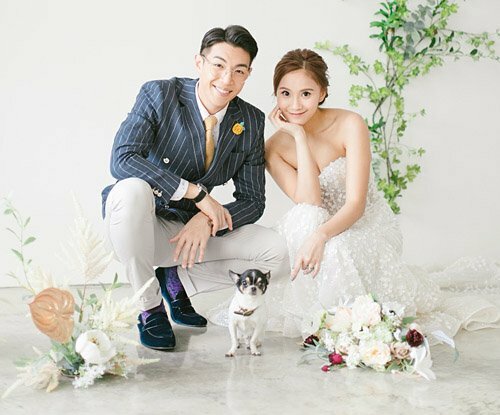 2018 has definitely been a year for marriage and babies in the Hong Kong entertainment industry. 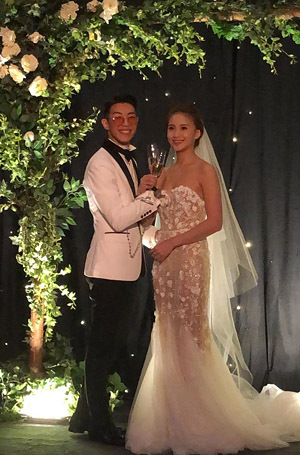 Another TVB couple, Auston Lam (林師傑) and Tammy Ou Yang (歐陽巧瑩), tied the knot at The Mira Hotel in Tsim Sha Tsui today. Auston is well known for his role as the masked singer, “Pinocchio”, in Come Home Love <愛·回家>. 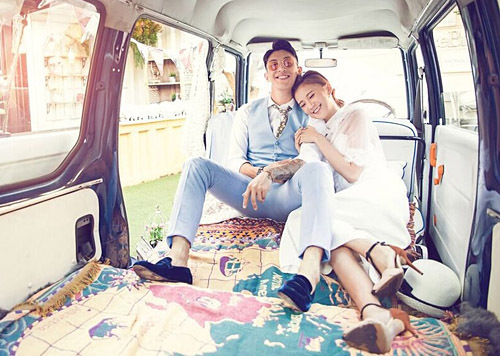 In 2015, Auston began dating former Miss Hong Kong 2013 contestant, Tammy, and became engaged at the end of 2017. 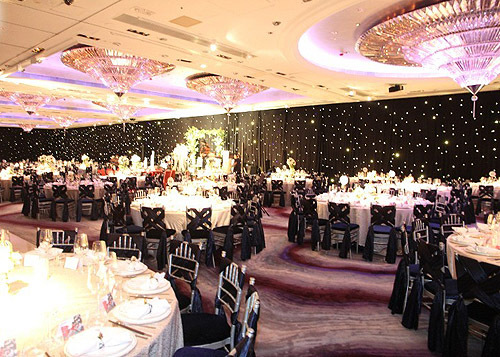 Though there were some problems with the wedding location, it did not stop the wedding from being a huge success. Auston even wrote a song called “Beautiful You” <美麗的妳> for his wife in which he sung alongside his groomsmen.